The law of the Lord is perfect, reviving the soul; the decrees of the Lord are sure, making wise the simple; the precepts of the Lord are right, rejoicing the heart; the commandment of the Lord is clear, enlightening the eyes; the fear of the Lord is pure, enduring forever; the ordinances of the Lord are true and righteous altogether. More to be desired are they than gold, even much fine gold; sweeter also than honey, and drippings of the honeycomb. Moreover by them is your servant warned; in keeping them there is great reward. There is a short list of things we should always keep in mind when we open our Bibles. Things like – who is speaking in the passage and who is being spoken to. Is Jesus speaking to a group of his disciples, to a group of his critics or to an individual? 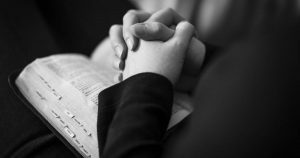 Is this New Testament Letter written by Peter, Paul or Mary? And who was it written to and when? Another thing to keep in mind is how does this passage fit into the grand story of the bible? If we’re in the Old Testament, how does this passage fit into the story of God and the Israelites? If we’re in the New Testament, how does this passage fit into the story of Jesus & his disciples & the Early Church. So here it is: the most important thing to keep in mind when you open your Bible is to remember that God speaks to us through the scriptures. God uses the words of scripture to speak a Word to us today. Jews sometimes call the Hebrew scriptures “The Living Torah.” It’s alive. It’s a living word or message for us today! The Bible speaks. God speaks to us through the scriptures. 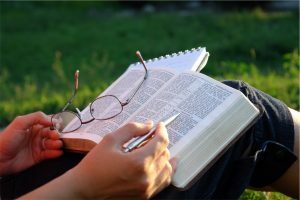 God inspired the scriptures and God continues to inspire us through the scriptures. His doubt, his on again/off again faith was gone. 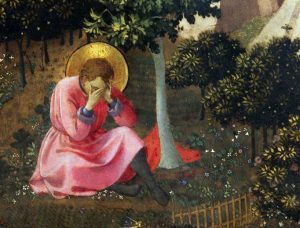 The light of conviction had been turned on in Augustine’s mind. And it came from the scriptures. As Psalm 19 said, the passage, “revived his soul.” It “enlightened his eyes” and made things clear. The Bible speaks. God speaks to us through the scriptures. 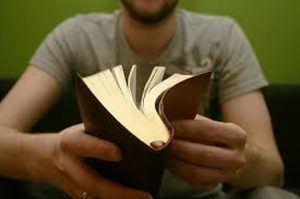 That’s why we call it the Word of God – not that God dictated every word (God didn’t) – but God speaks to us through the words of the Bible. That’s the most important thing to keep in mind. The Bible speaks. God speaks to us through the scriptures. 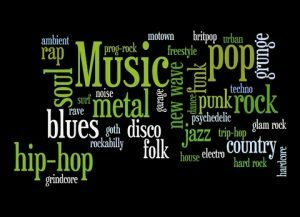 A Genre is a category of literature or music. There are musical genres such as jazz, classical, folk and pop. And there literary categories such as poetry, prose and non-fiction. A genre is a classification, a group of compositions that share the same style or form or content. Please take a look at the insert on Genres. 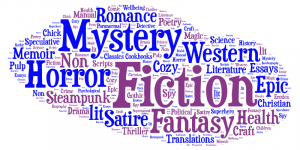 Mysteries, Legal Dramas, Westerns, Urban Fiction, Historical Fiction, Biographies, etc. Why are Genres so important? Because not all genres are interpreted the same way. We interpret the poetry of the Psalms different from one of the Ten Commandments. We interpret one of Paul’s letters different from how we read a Proverb. We interpret a wild vision from the Book of Revelation differently that we do a story from the Gospels. We need to be alert to the various genres in the Bible, so we ask the right questions of the text, and we don’t fall into some common mistakes. For instance, Genesis 1 is basically a poem. It has a beautifully crafted rhythm to it, like much of ancient Hebrew poetry. It’s clearly a work of literature by a divinely inspired literary artist. It’s not written as a science textbook. It’s not a first-hand account (No human was there to take notes when the Big Bang occurred 13 ½ billion years ago!). It’s poetry and what better way to paint that picture. I received a Stephen Hawking book for Christmas – “Brief Answers to Big Questions.” Hawking is a wonderful writer and he’s captivated by the big questions like the origin of the Universe. He conveys amazing scientific truths & theories, but I like Genesis better! It’s more inspiring and uplifting. 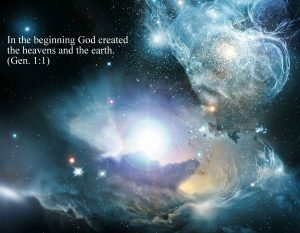 It’s not as accurate, thorough or informative as Hawking, but Genesis points us to the Creator in a way that a science textbook can’t. But if I look at Genesis 1 & 2 literally as a scientific explanation of the universe, I end up being disappointed and I miss the glory of it! 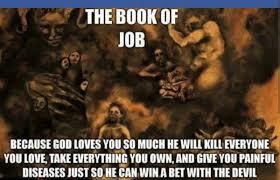 In the first chapter of the book of Job, God & Satan make a bet. Satan believes that if God takes away Job’s blessings, Job will turn his back on God and give up faith. But God puts his money on Job. Now, if I read that literally as an accurate historical retelling of an event, there’s a big problem, right? God making bet with the Devil and Job as a pawn? A holy and loving God would never do that. But here’s the key. The entire book of Job is written in Hebrew poetry! That means it’s a work of literature – a divinely inspired, theologically profound poem. In fact the ancient Rabbis put Job in a section of the Hebrew Scriptures that they called, “The Writings.” It’s not in the History section. It’s a piece of theological literature, designed to explore the question of human suffering and faith in God. So the first chapter, as well as, the rest of the book are poetry, not historical narrative! As you well know we don’t take poetry literally! When the writer of the Psalm 17 says to God, “Hide me in the shelter of your wings,” that doesn’t mean that God is a great big chicken with wings! We don’t take poetry literally. These accounts tell us what happened, not necessarily what should have happened, but what did happen. Ex. Polygamy. Some Patriarchs, as well as David & Solomon had several (or many) wives. That’s what happened, not what should have happened. We have to know the rest of scripture to know that wasn’t supposed to be the case. The accounts are not blessing polygamy! There are large sections of instructions for the Priests in carrying out sacrifices in the Temple. These are historically specific to their time, and not applicable for us. 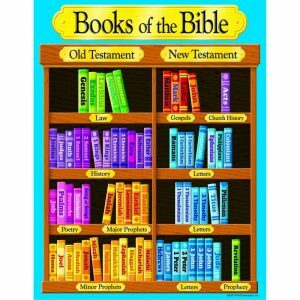 Yet there are also the Ten Commandments and other directives that are. Prov. 22:6 – “Train up a child in the way he should go, and when he is old he will not depart from it.” That’s how life often works, but not always! It’s not a promise. Kids chooses for themselves. They make their own decisions, their own mistakes. Read a chunk/paragraph at a time. Apocalyptic literature is all about symbolism, often graphically painting a picture of a very scary world, but at the same time proclaiming that a Mighty God will reign in the end. Best tip: read it with a good study Bible or a commentary by your side! We need to read the Bible with our heads & our hearts. 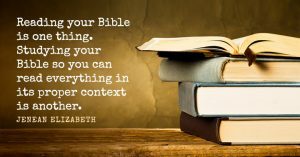 The more we use our minds to understand the context, the background, the sense of the overall story and the genre, the better God can use the scriptures to speak to our hearts!